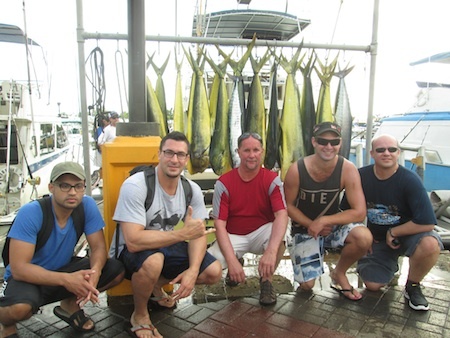 Ben, Mike, Zeshan, Matt and Jim with 20 Mahi Mahi and 2 Ono! Yuri, Michael and Edward with 17 Mahi Mahi! 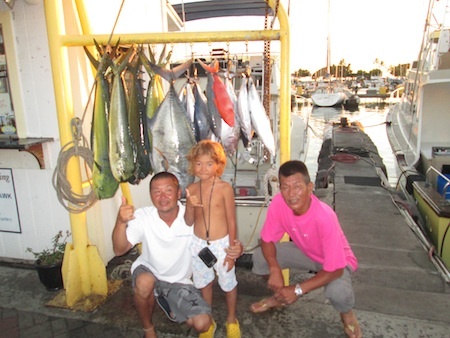 Big Mahalo to Yuri, Michael and Edward for choosing Maggie Joe Sport Fishing! They joined Captain Daryl aboard the Sea Hawk on sport fishing charter and hauled in 17 Mahi Mahi and a handful of Ulua and Aku. Aloha! Megan with 210 lb Blue Marlin! 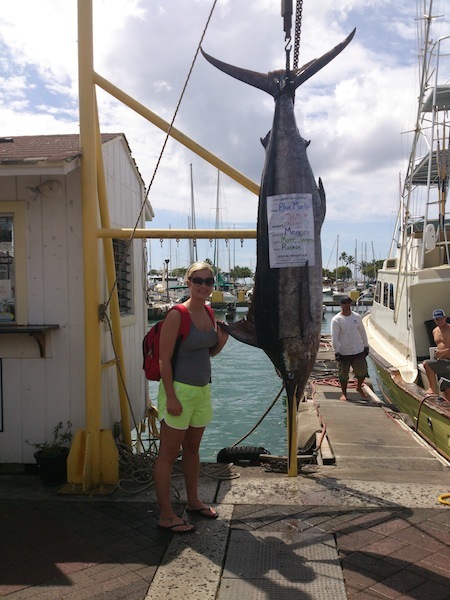 Mahalo to Megan for choosing Maggie Joe Sport Fishing! 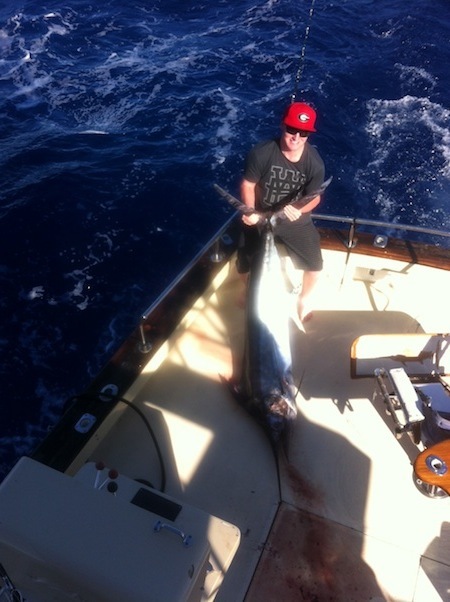 She joined Captain Matt aboard the Ruckus on a sport fishing charter. 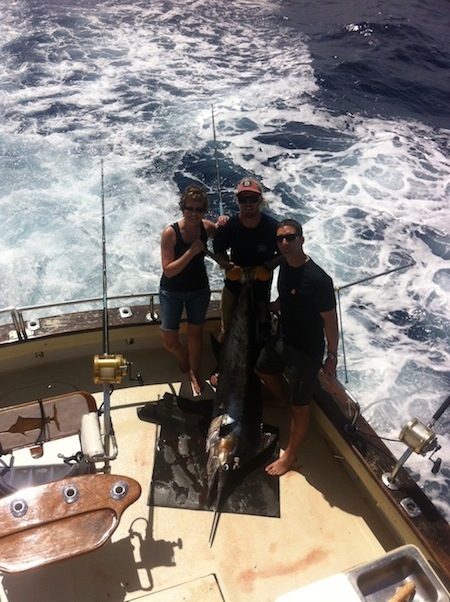 She hauled in a 210 lb Blue Marlin while deep sea fishing off Honolulu, Oahu. Aloha!